It is 1939. 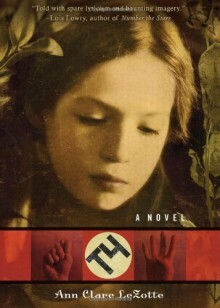 Paula Becker, thirteen years old and deaf, lives with her family in a rural German town. As rumors swirl of disabled children quietly disappearing, a priest comes to her family’s door with an offer to shield Paula from an uncertain fate. When the sanctuary he offers is fleeting, Paula needs to call upon all her strength to stay one step ahead of the Nazis.